Had any “senior moments” lately? You know. You’ll be talking along like at any other time in your life, and suddenly you can’t remember the name of your best friend. Or the movie you saw last night. Or what the initials AARP stand for. Most of us begin noticing these awkward interludes in our 50s. By 70, some of us avoid talking altogether, not an altogether unvirtuous act. The thing is, we seniors know a lot. We just can’t remember much of it. SOURCE OF SENIOR MOMENTS DISCOVERED HERE! If you believe in pills, as so many of us do no matter the bugaboo, Ginkgo Biloba is said to increase blood flow to the brain, even jump-start brain cell connectivity. Although recently debunked, Ginkgo has many of my friends hooked. As my buddy J.C. Spitznagel says of his wife, “Since I began taking that stuff, I haven’t forgotten old what’s-her-name’s name once.” He remembers clearly the name of little Joyce Kongabel, a sweet girl in fourth grade with whom he shared a first kiss. But his wife? Forgetaboutit – even with the pills. See, that’s the thing. I don’t think blood flow has much to do with this senior-moment problem. 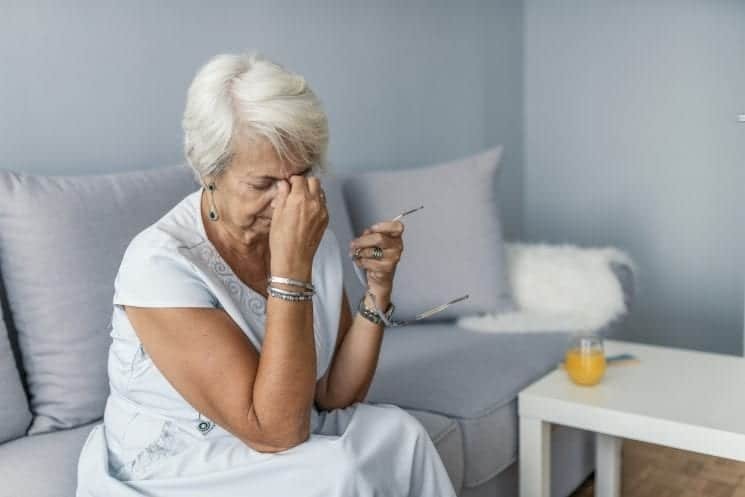 The shocking truth: Brain bloat causes senior moments. Brain bloat is the result of too much stuff in the head. That’s why it takes 50 or 60 years of input before the forgetful symptoms (like senior dementia) begin manifesting. After all those years of cramming stuff into your head, it finally begins overflowing like a water glass unable to hold another drop without shedding something already there. You’ve got to dump all the Joyce Kongabels from your head. Those dates you memorized in high school history class? They are still there, aren’t they? Entrenched in your brain are 1066, 1492, 1776, 1812. They go on and on. Think of the valuable space they take up. And those thousands of names back in there of folks you’ll probably never even see again? There are probably hundreds of school chums alone stuck in the recesses of your head. Like Dutch Von Boeselager and Ralph Kuechenberg and Irene Lu. Get rid of them. Don’t worry. If they happen to be at your next high school reunion, they’ll be wearing nametags. Fact is, you can never dump enough. Maybe the better senior-moment strategy is to just chuckle and admit, “Ah, another senior moment.” As if you’ve just discovered time/space relativity, and you want to share the moment. If the person you’re talking with is over 50, she’ll know exactly what you mean and maybe even admire your honesty and insouciance. Eventually, perhaps we’ll all go into a kind of Jiffy-Brain every three months, drain off the old so there’s room for new, and never again forget last night’s TV movie. But until then, do as I do. Live with it. Enjoy the feeling of a full and often useful brain. That’s more than most folks can ever do.